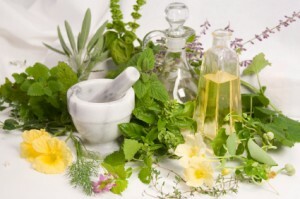 Herbal Medicine: What is it? The term herbal medicine comes from the greek phyton (plant) and therapeia (care) and is absolutely the first form of medicine used by man. It is therefore the treatment and prevention of disease through the administration of medicines based on natural. The use of medicinal plants and herbs for therapeutic purposes is known and mentioned in ancient Egypt, in the texts of oriental culture of over 5000 years ago by the Greeks and Romans to the present day. At present, and since 1986, Phytotherapy is considered for all purposes as part of mainstream medicine or traditional. 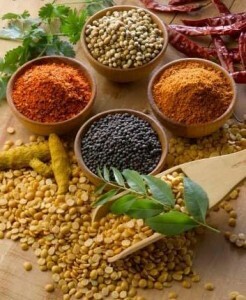 The herbal medicines have only active principles derived from plants or combination of them. The herbal medicine today is grounded on the concept of ” global therapeutic activity of the plant , “according to which any part of the plant can be considered” active “or” inert “. In this way, the entire medicinal plant is regarded as one unit, known as “phytocomplex “, in which each constituent has its own reason for being in physiological structure of the plant itself, and performs a certain function. Therefore all components of the plant, both those that have specific pharmacological activity, both those without it but that can vary the absorption of the first, cooperate in determining the therapeutic activity of the overall medicinal plant . The alkaloids : are located between the more active substances present in nature, and their action takes place even at low concentration. The glycosides : they are the prime movers in the metabolism of carbohydrates, sugar and form substances with therapeutic actions in the presence of certain enzymes. The mucilage : are polysaccharides (a kind of glucosides) that increase its volume in the presence of water, turning into substances with emollient. Saponins : still glycosides acting emulsifier with different types of properties. The tannins : are compounds that have astringent properties, for example capable of coagulating some proteins present in the blood. But there are some tricks that must be respected for the good use of herbal medicine .First, herbal medicines should not be used in women who are pregnant or breastfeeding, and in cases of cardiovascular disease, in addition, its use is not recommended in children under 2 years of age. In addition, there is a long list of medicinal plants that assumption is completely contraindicated, because they are considered toxic or potentially toxic. Instead, other plants are contraindicated only in cases of particular diseases, for example, some should not be employed if you are taking certain medicines, or if there were liver disease or kidney disease, other medicinal herbs instead should not be employed for long periods. To avoid risks, but also to take advantage of all the medicinal properties of plants andherbs using the most appropriate for each particular case, it is always best to ask your doctor before taking these herbal medicines . ” Remember that the best doctor is the nature cures the disease and two thirds do not speak ill of fellow “ Galen. Can certain foods prevent or cure cancer?